In the words of the certification rooms are Tastefully decorated comfortable, warm, clean tidy or our guests have said “Wonderful, Lovely delightful just what we wanted,this is nice”. 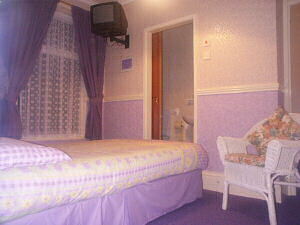 Double rooms with en-suite come with the comforts of home remote colour television and tea coffee making facilities. 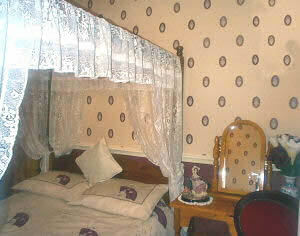 We even have a four poster En-suite bedroom for those special occasions like Valentines day. honey moons, Birhdays, Anniversaries, or just a romantic weekend. There are no meters in any rooms. 2005-2006 Silver Host award for Good clean comfortable well maintained accommodation. with a greater emphasis on customer comfort, facilities and services. For those who may have an interest in porcelain collectable dolls you will find plenty to see at Clifton House.